My Highly Caffeinated Thought: A tense atmospheric mystery taking you into the complicated world of lies and deceit. Though I would never want to go on a trip with any of the characters in this book, THE HUNTING PARTY takes its reader on a vacation to remember. Foley has created such a wonderfully moody and smart thriller that I dare you not to binge read it. Here is the thing about this book. It works on so many levels. It has the intense and complicated interpersonal relationships of this group of friends. It has the haunting and omnipresent back stories of Heather and Doug, the caregivers in this estate. It has a murder of a character we don’t know the identity of until you are further into the story. Then to put the cherry on top, there is a snowstorm stranding everyone and making it very difficult for the police to arrive. I mean…come on! How good is that?!?! It is a truly addictive story. 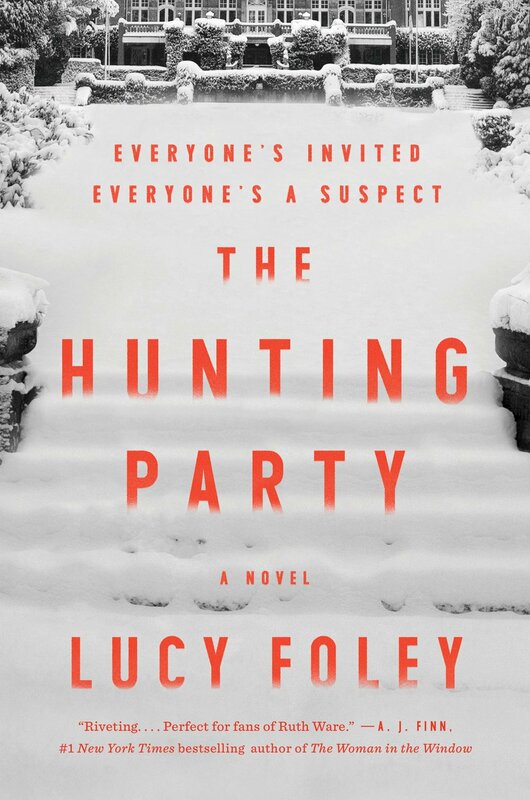 With intelligent plotting, eloquent writing, and slow-burning suspense, THE HUNTING PARTY is a phenomenal read. It allows the reader to be part of the investigation while still learning all the pieces of the puzzle. The twists, turns, and well-placed misdirections are only made better by the setting surrounding this murder mystery. Find the book on HarperCollins, Amazon, and Barnes & Noble. About the Author: LUCY FOLEY is a former editor at Hodder Fiction and has been both a literary agent and a bookseller. An avid painter, she now writes full time and lives in London, England.